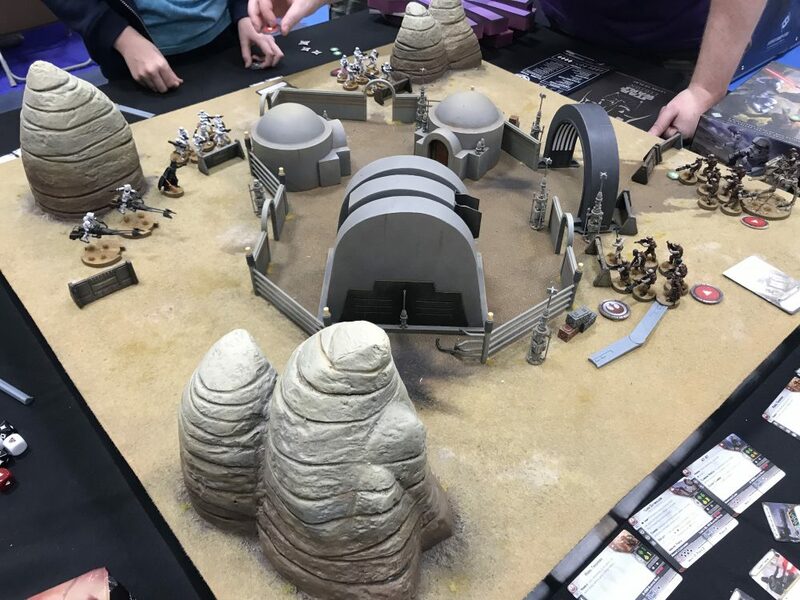 Lots to see and do in a truly mamoth event that caters for just about every type of gamer. 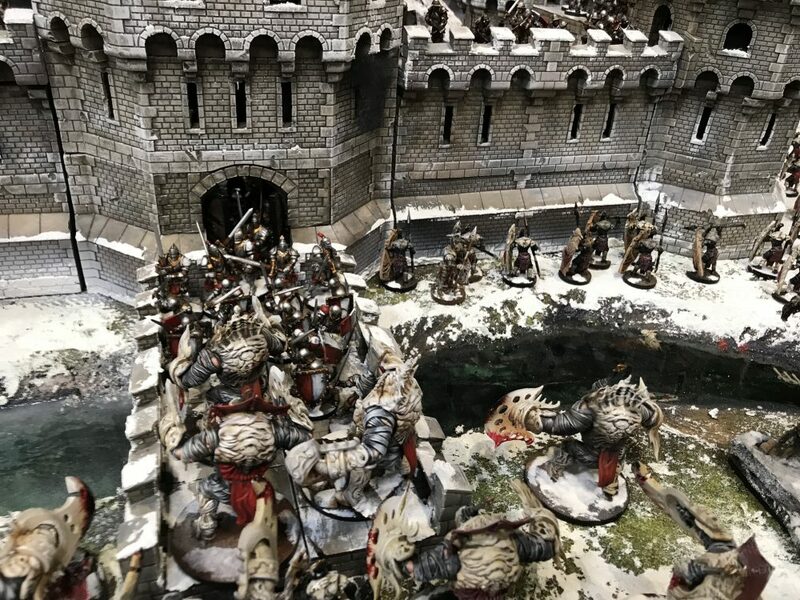 Overwhelming at times and often crowded in the more popular areas. 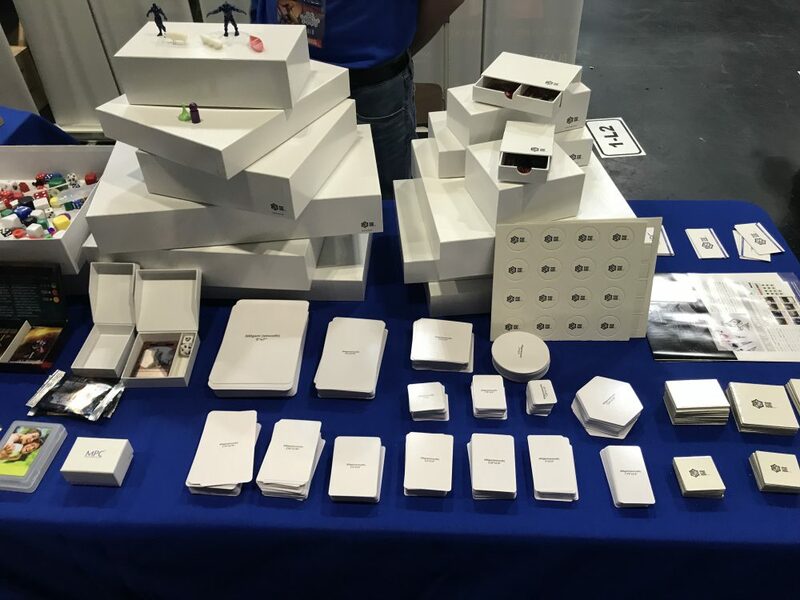 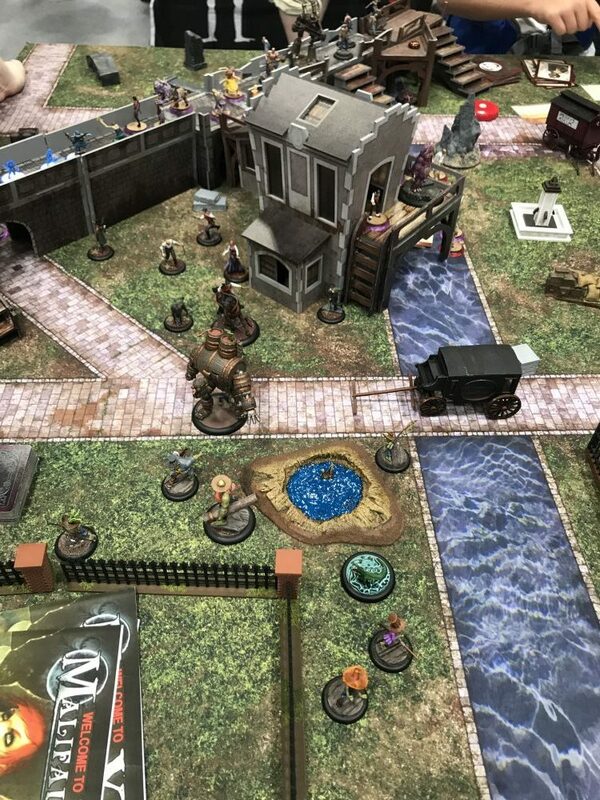 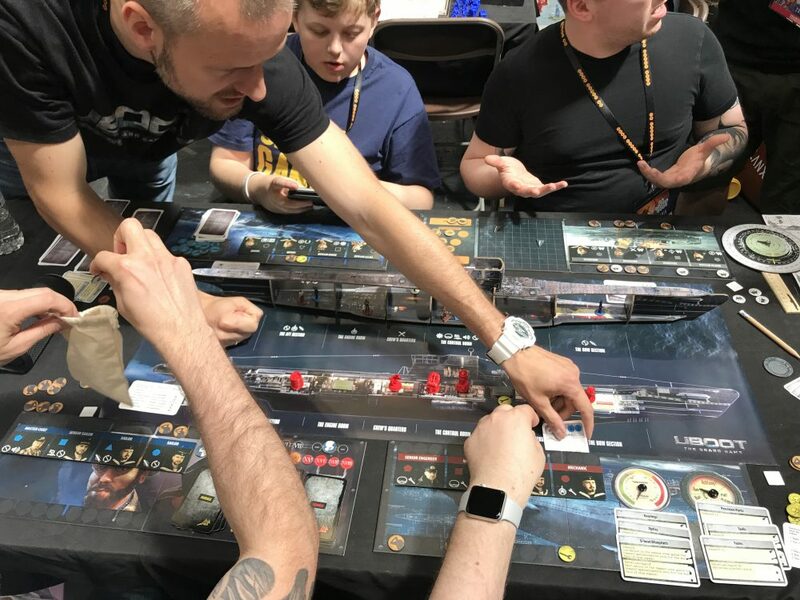 With over 70,000 people attending throughout the weekend, the UK Games Expo (UKGE) has quickly become the UK’s largest convention dedicated to tabletop gaming. 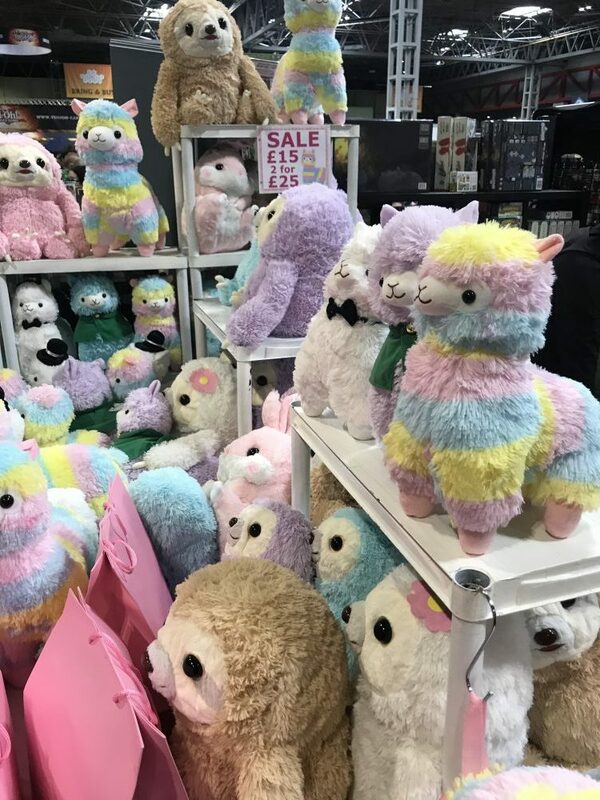 Taking place over two halls within the Birmingham NEC, and with hundreds of traders and exhibitors, there is pretty much something for everyone. 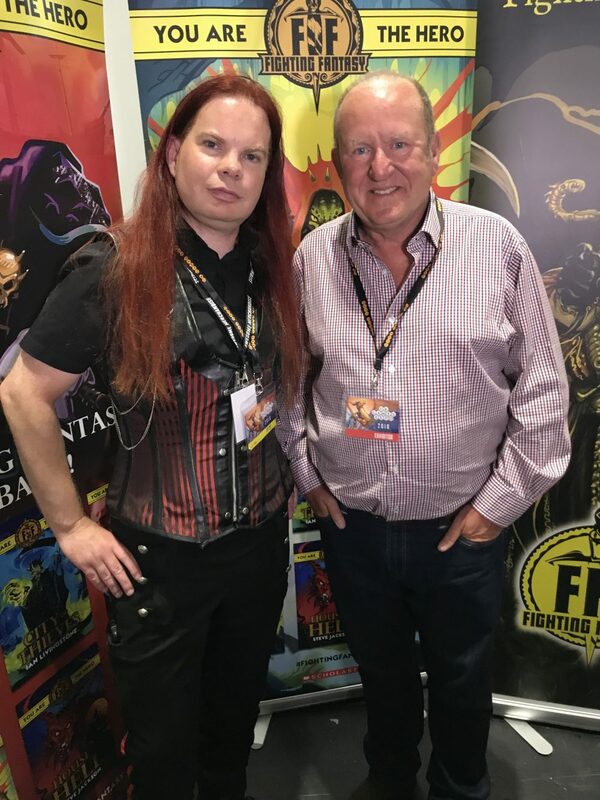 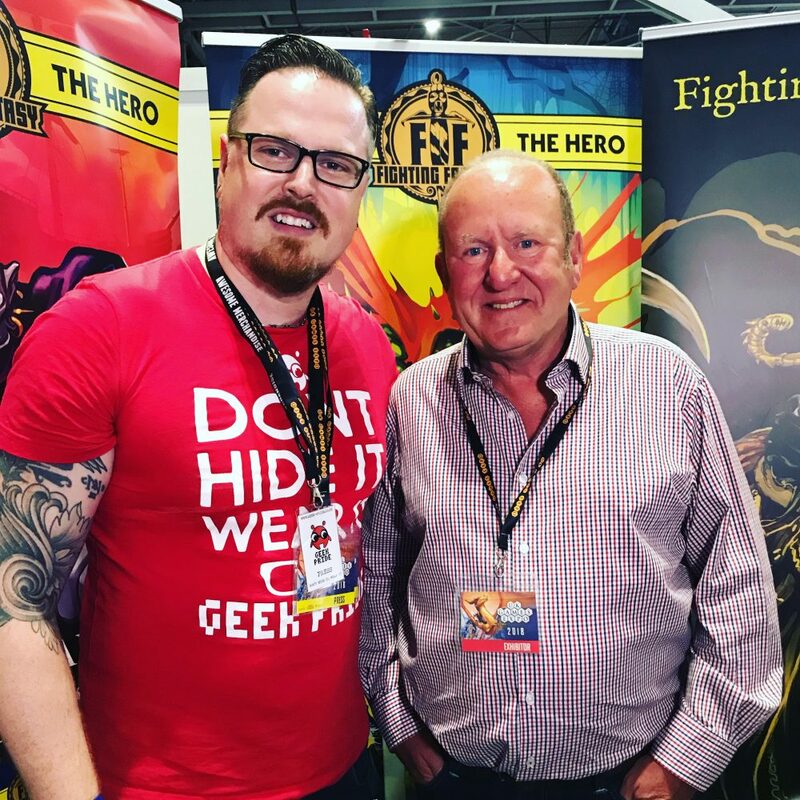 One of the biggest draws of the day was the chance to meet the godfather of modern gaming in the UK; Ian Livingstone, who co-founded Games Workshop, co-created Fighting Fantasy and – if that wasn’t enough – was the CEO and President of Eidos Interactive, responsible for bringing Lara Croft to life. 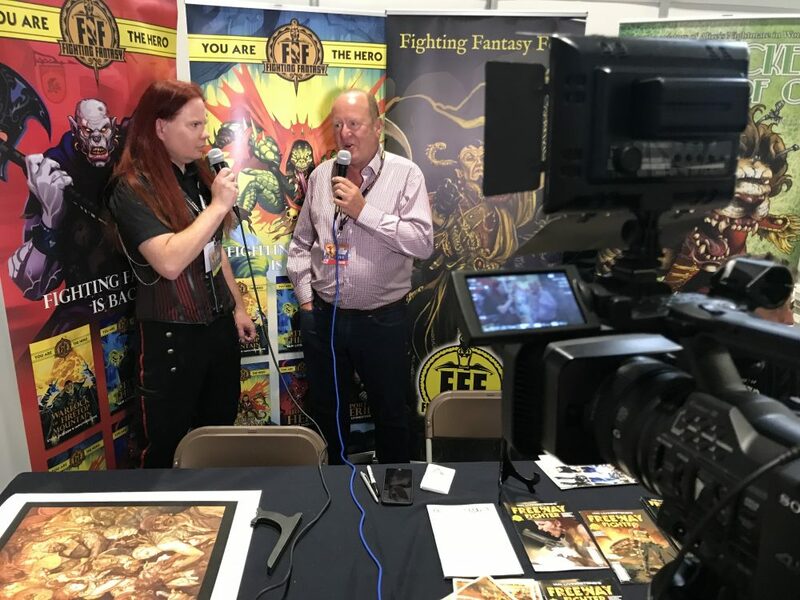 Ian gave several talks throughout the weekend about his life in gaming, as well as always making time to speak to his fans and sign books during the day. 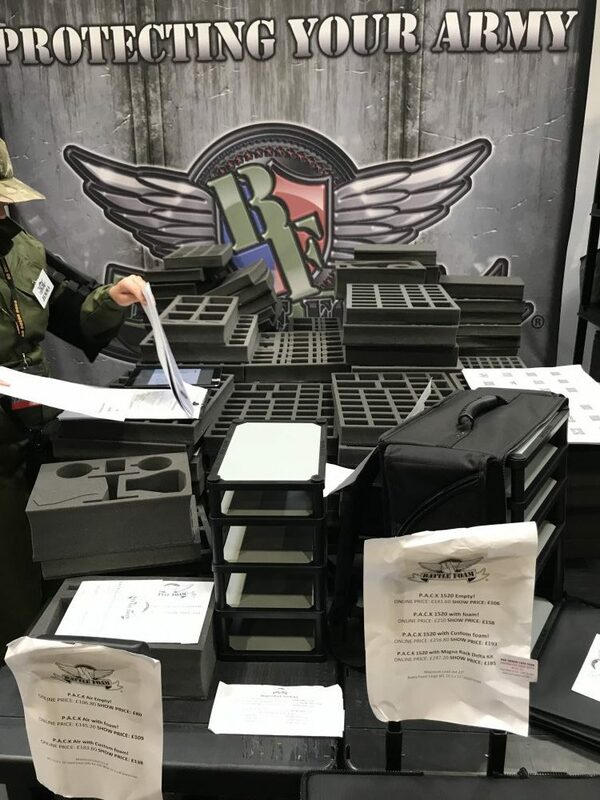 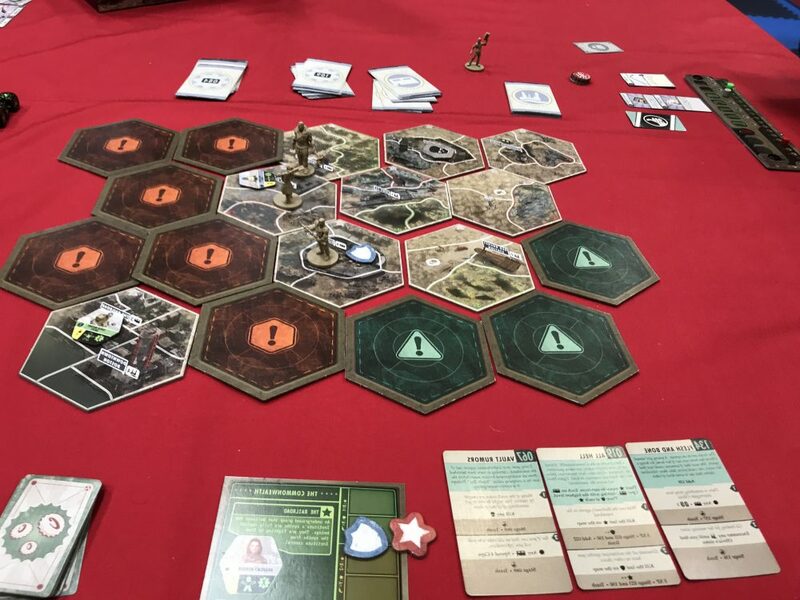 Despite the draw of the guests, one of the best things is wandering around the convention and seeing what new games are available. 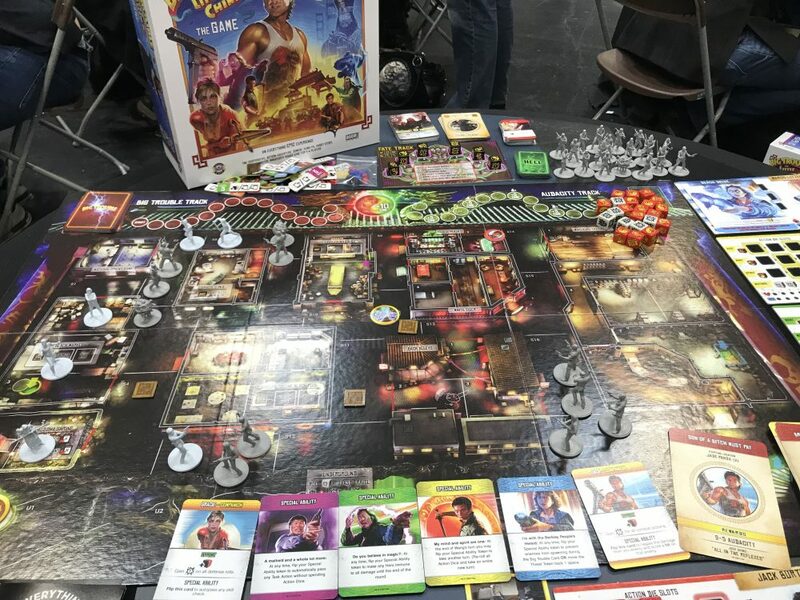 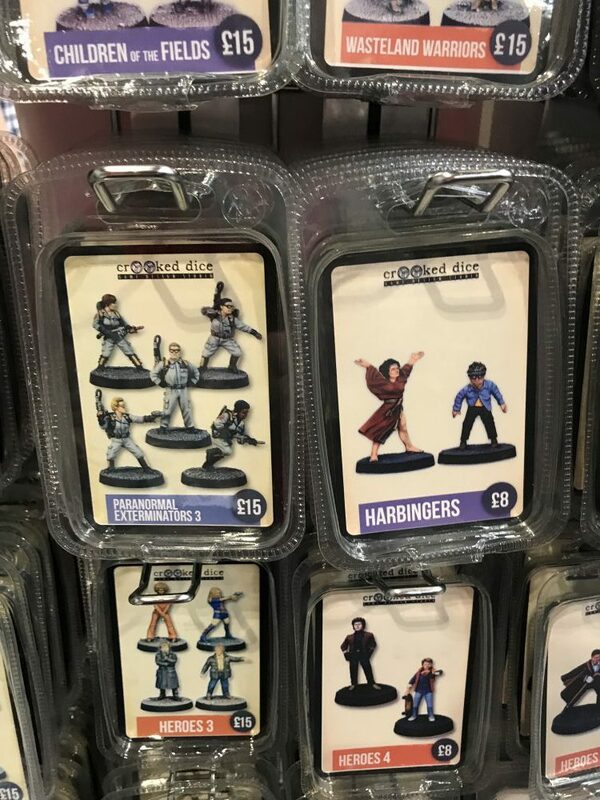 The UKGE is often the first time many games are seen in the UK, such as the Big Trouble in Little China board game (so, so tempting…). 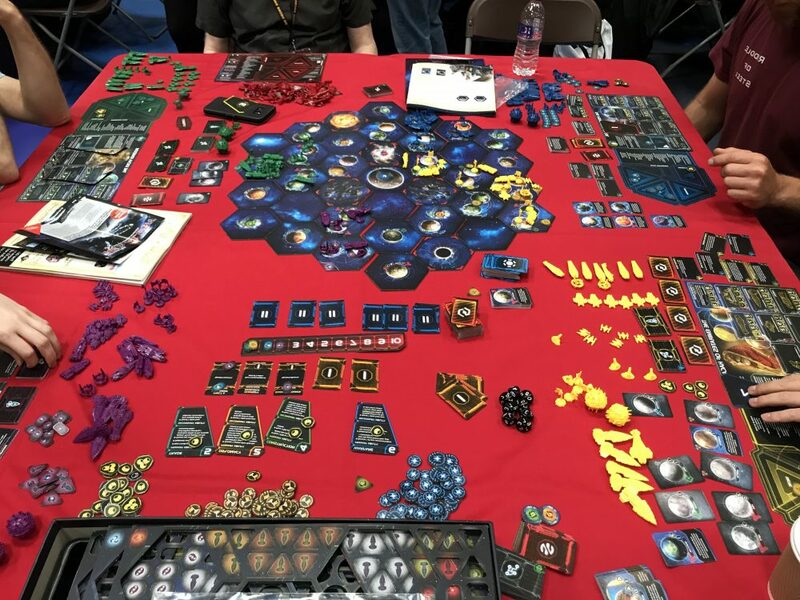 Despite the larger names in game design dominating the event, many of the smaller and more independent designers often have just as much to show. 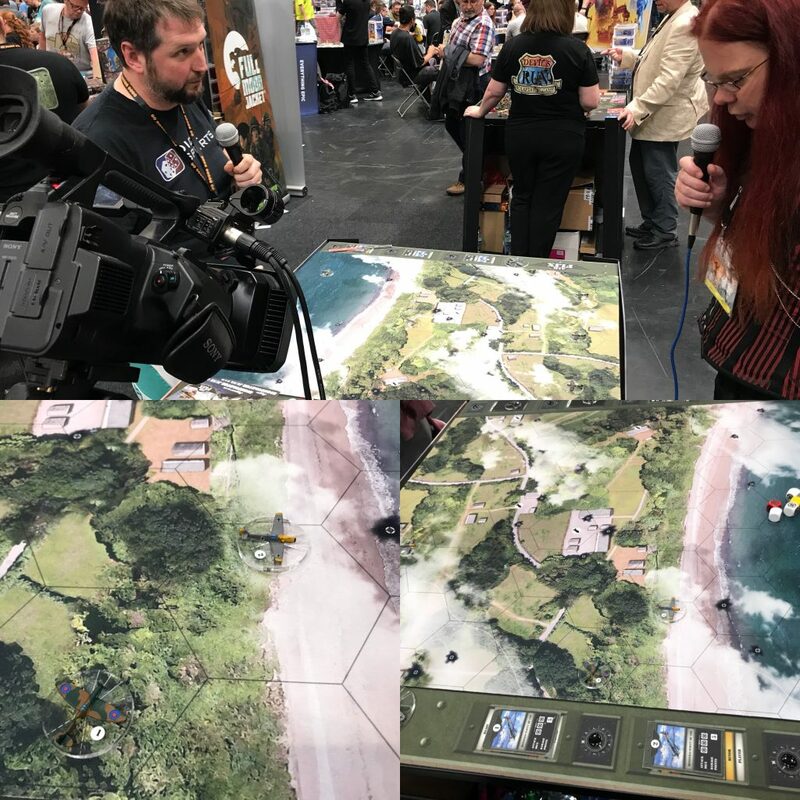 A case in point is Air Flix, which was a World War 2 equivalent of Subbuteo (but far better in our opinion), which quickly gained the eye of Geek Pride. 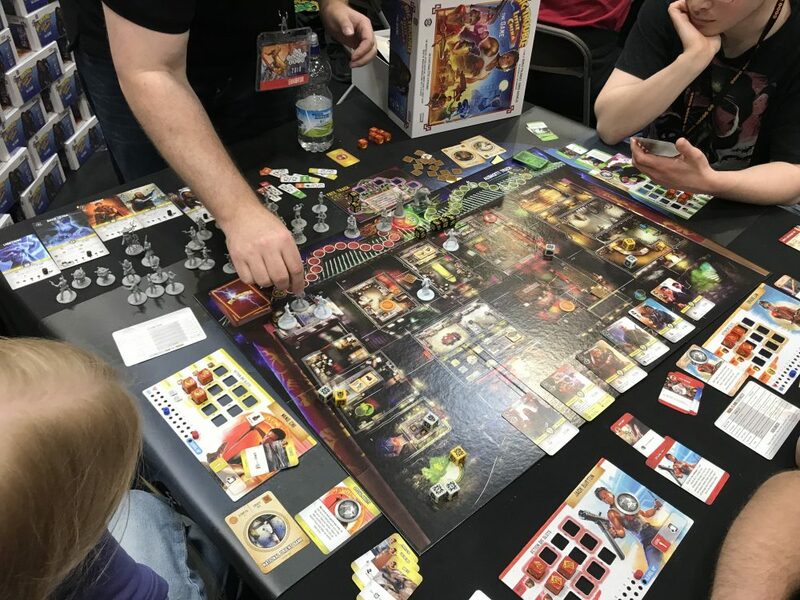 One of the main reasons for going to UKGE is to be able to pick up some great games without paying a second mortgage in postage and packing. 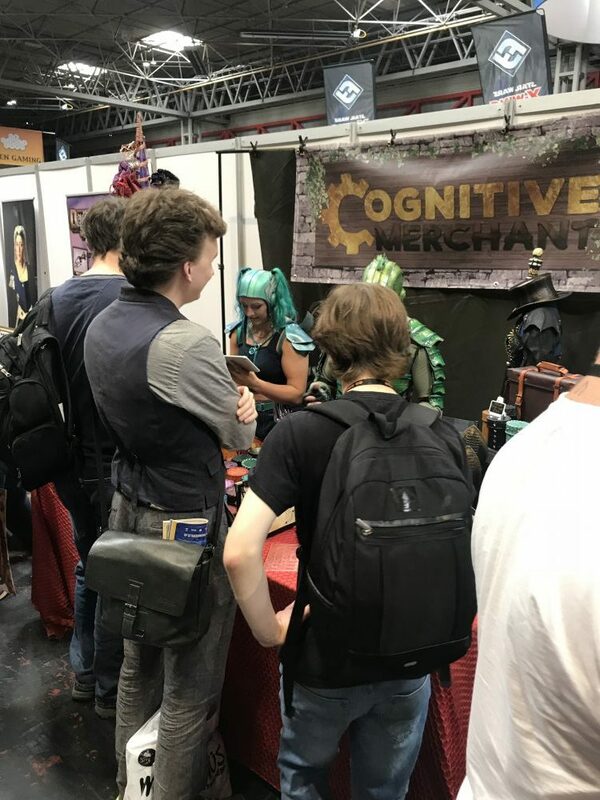 With traders competing with each other as well, the more astute gamer can find some great bargains amongst the stalls. 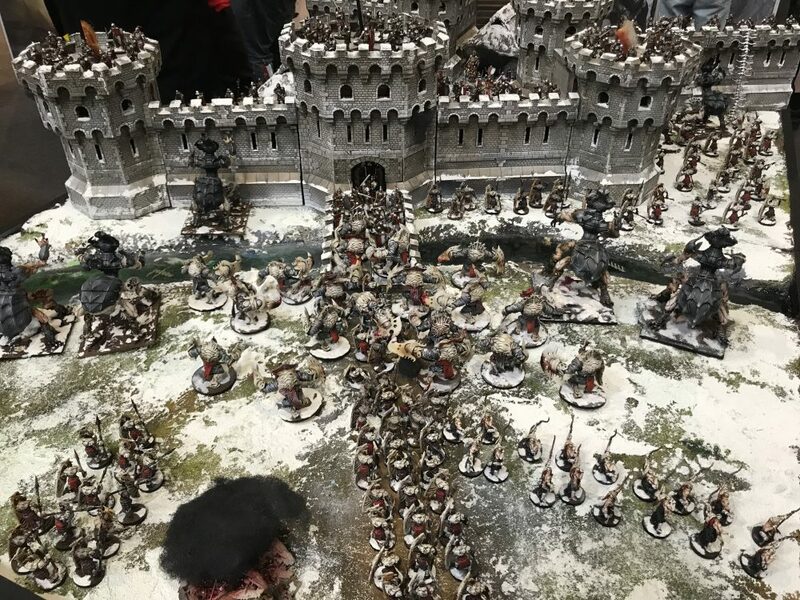 Some had even sold out by midday on Saturday. 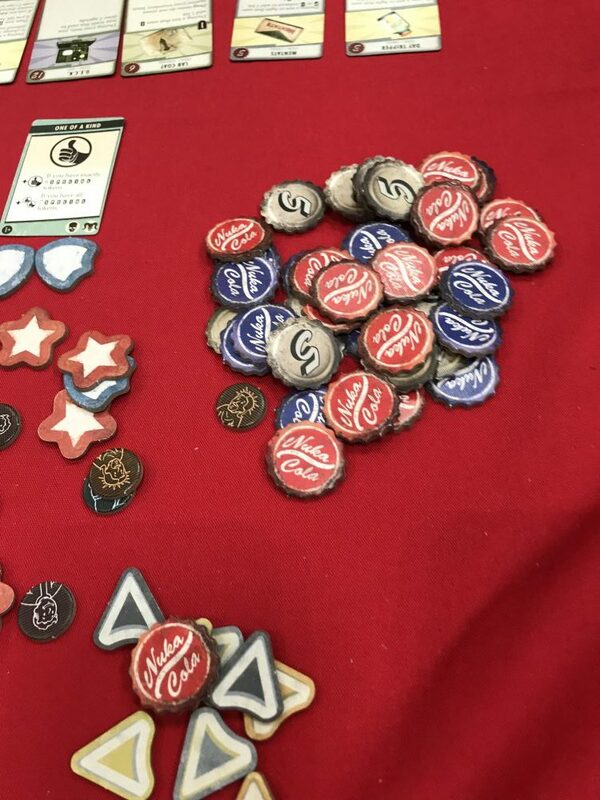 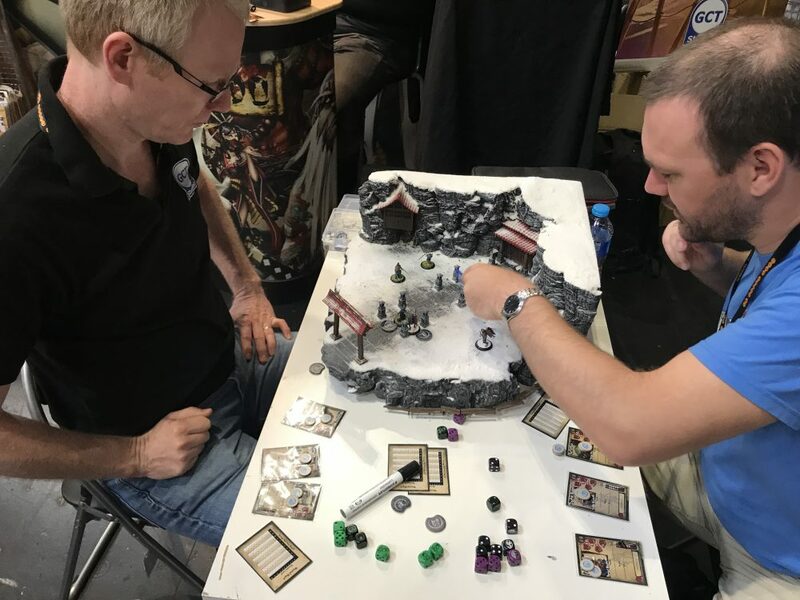 One of the great points of the UKGE was the number of games that exhibitors had for attendees to try out for the first time. 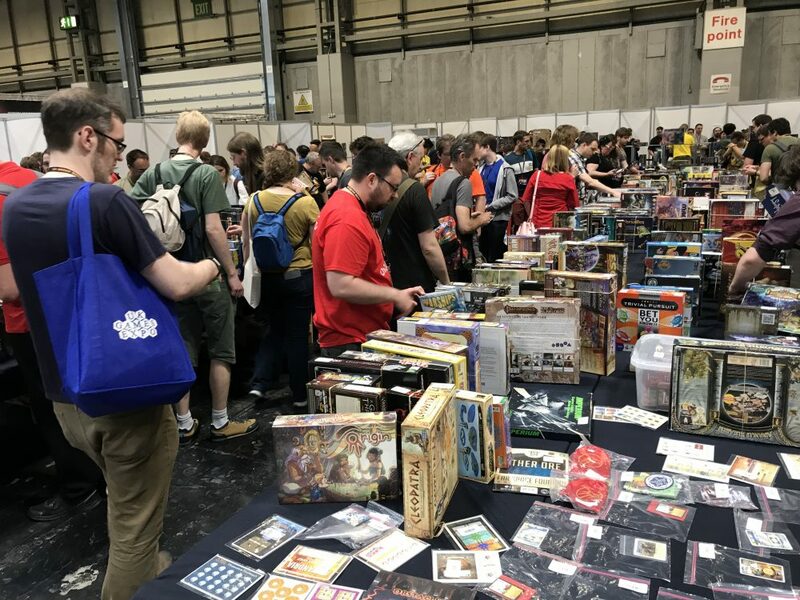 Special mention must go to go the UKGE Games Library, where people could book out games to play from an impressive selection on offer. 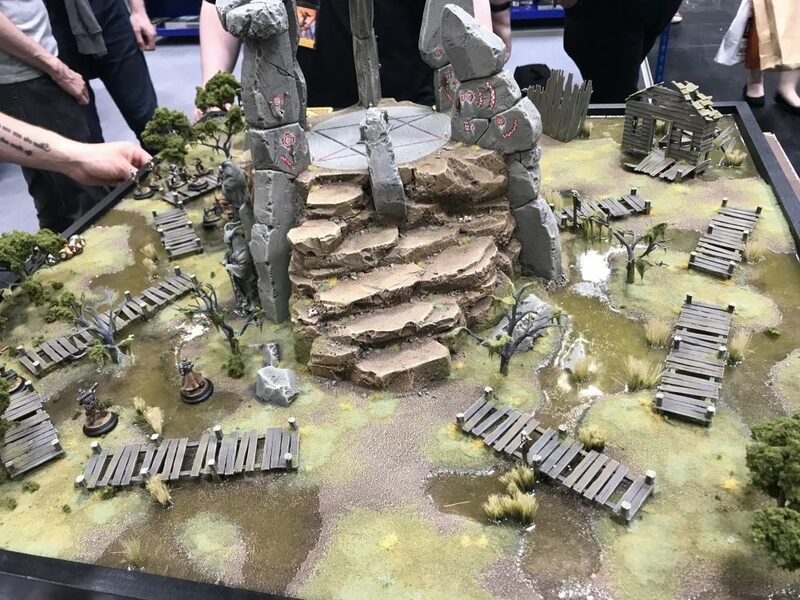 Pretty much every type of board game was on offer; from epic historical miniature wargames, through fun tabletop board games, to the fantasy card games. 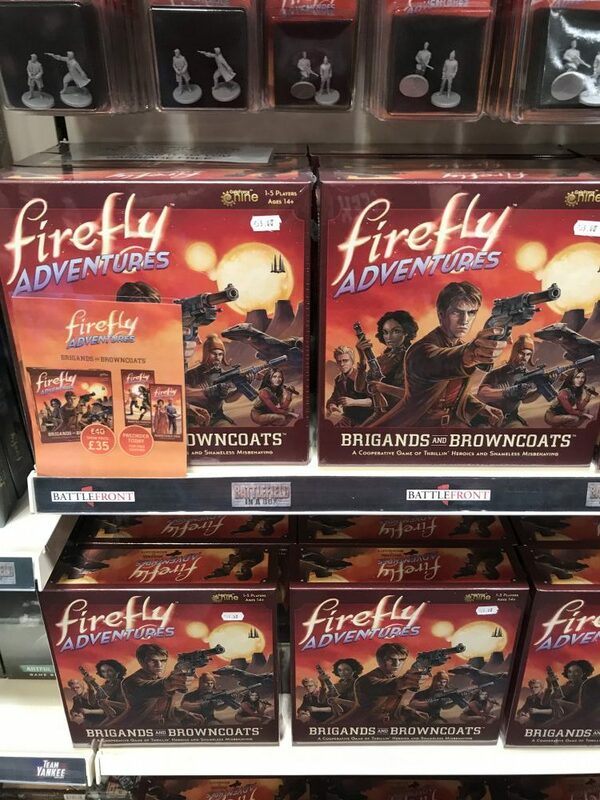 There was literally something for everybody, and not just for dedicated gamers. 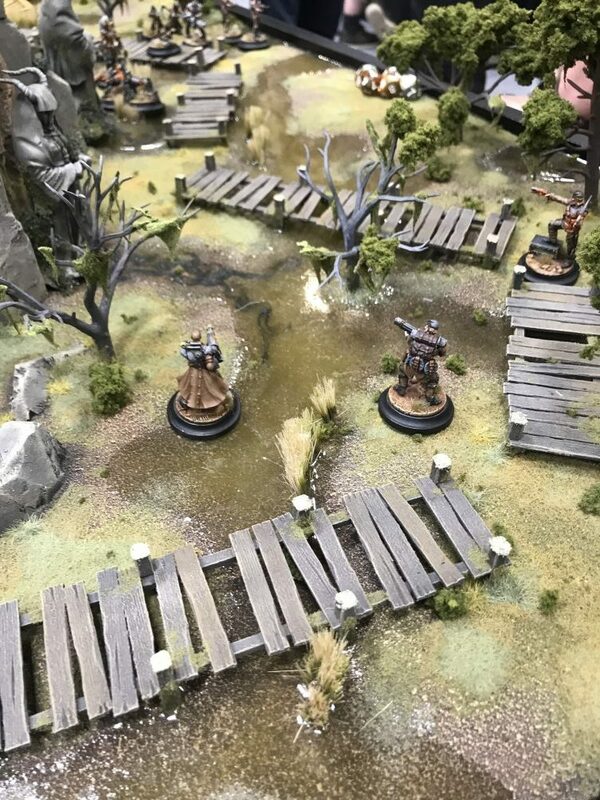 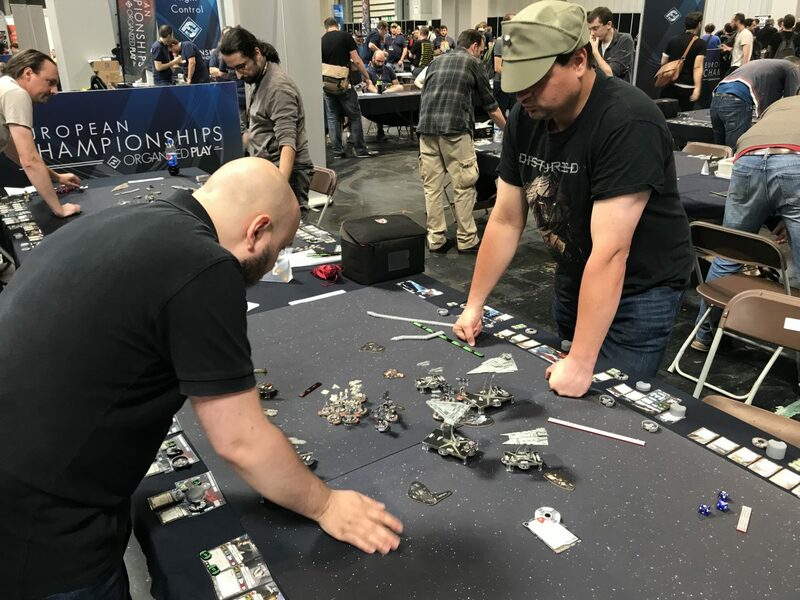 New and old gamers were equally welcome, with a dedicated area for those new to the hobby. 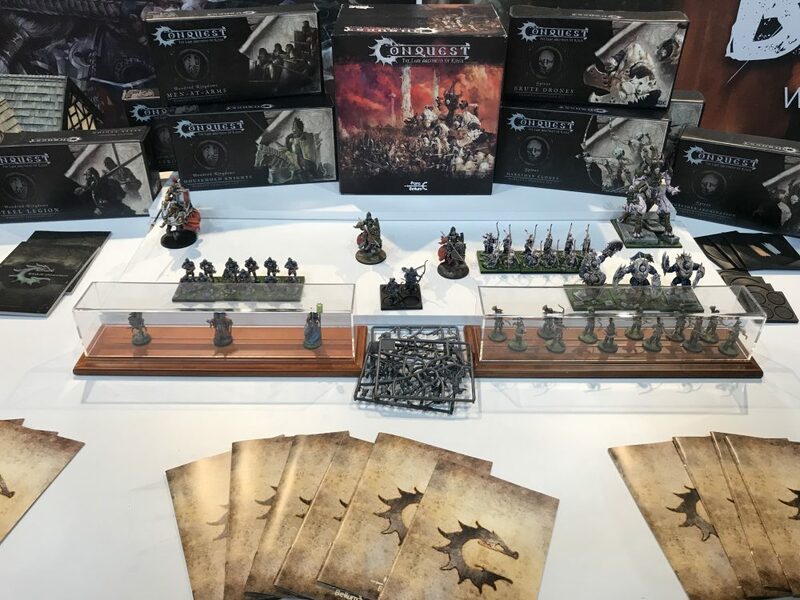 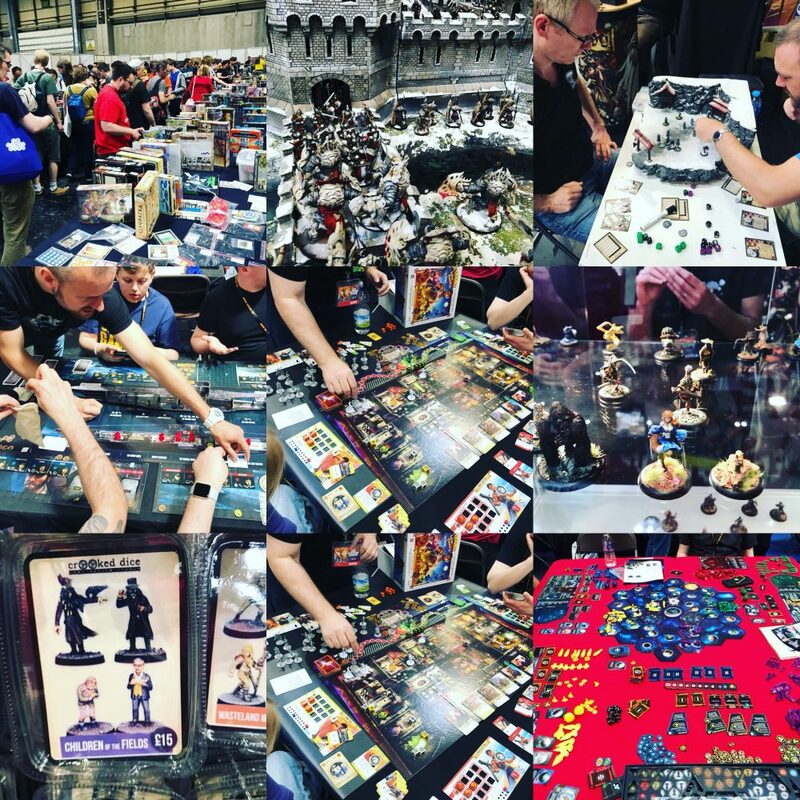 With the UKGE becoming so massive, this curation was much needed as newcomers could be easily overwhelmed with the sheer scale of the event. 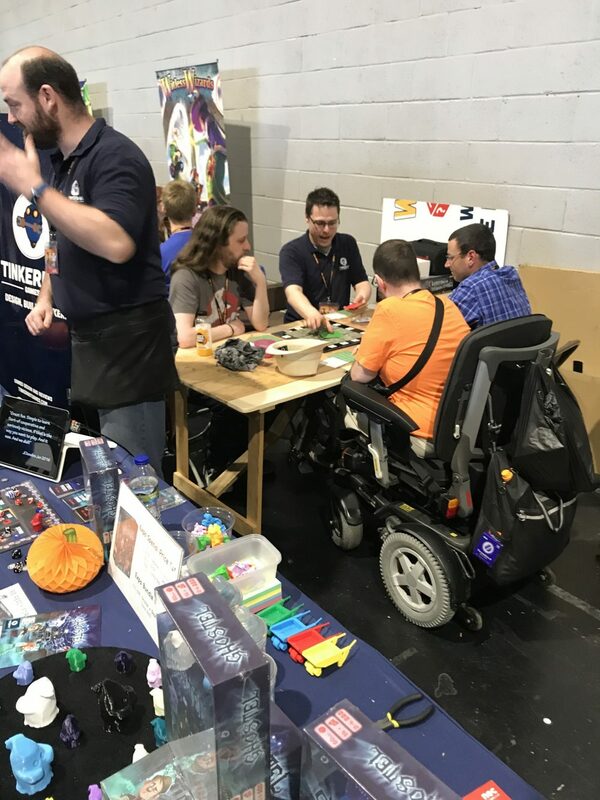 Alongside the traders and exhibitors was a massive play area, with hundreds of tables ready for people to play games on. 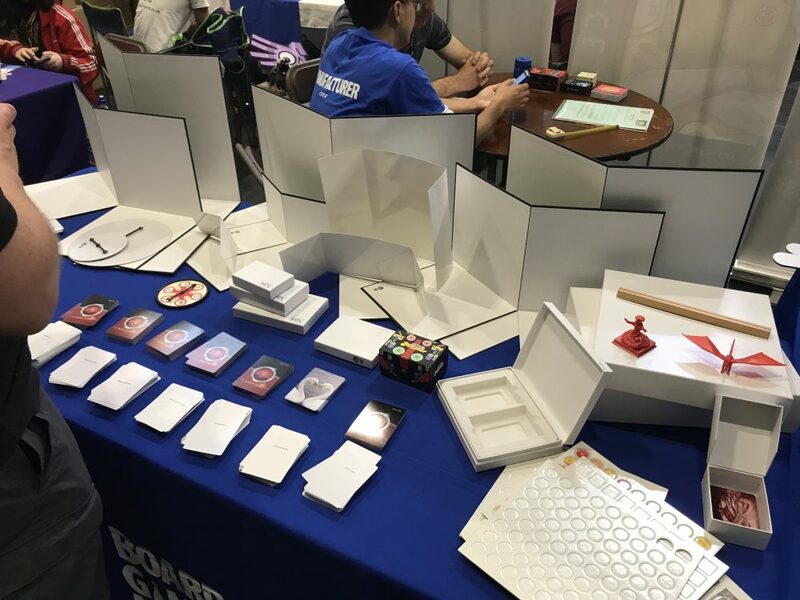 Also on offer was a dedicated family area; where children could play age-appropriate games with likeminded families. 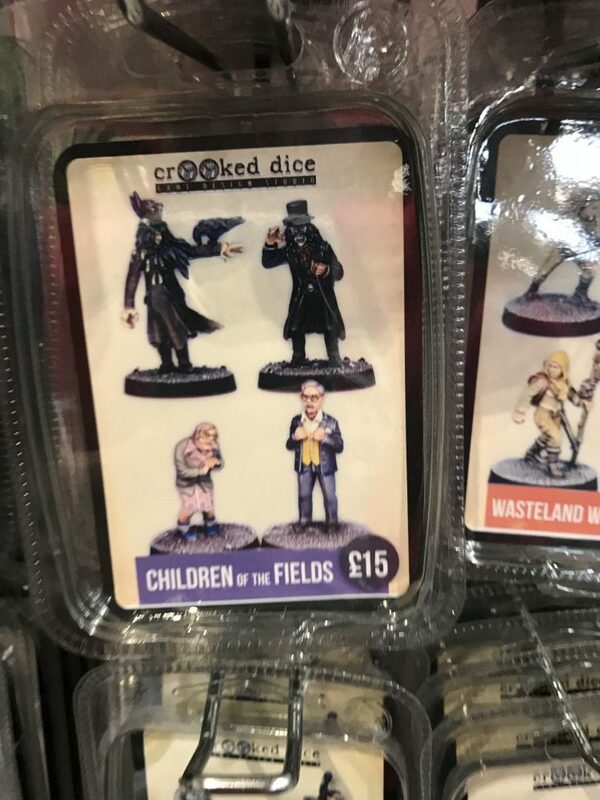 This was great for those with young children as it allowed parents to share the hobby with their children. 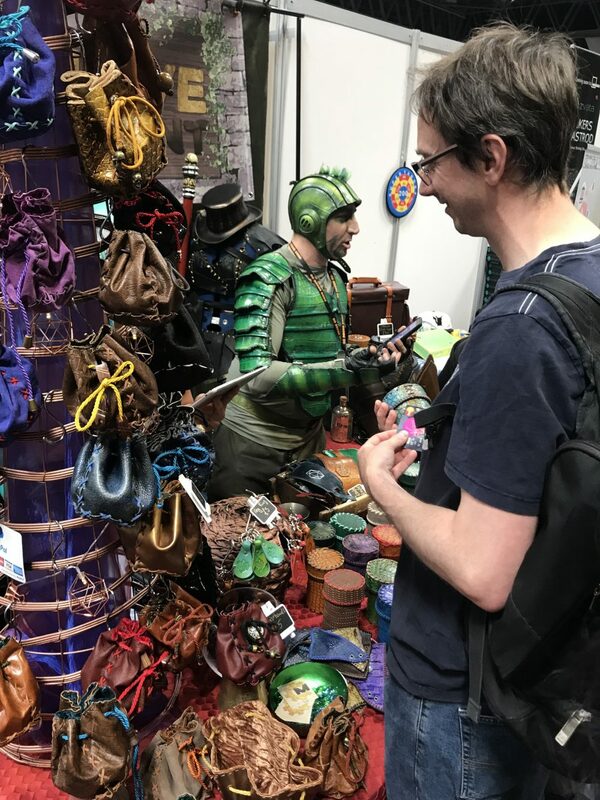 There were also some great games accessories, such as some great dice bags and huge dice towers. 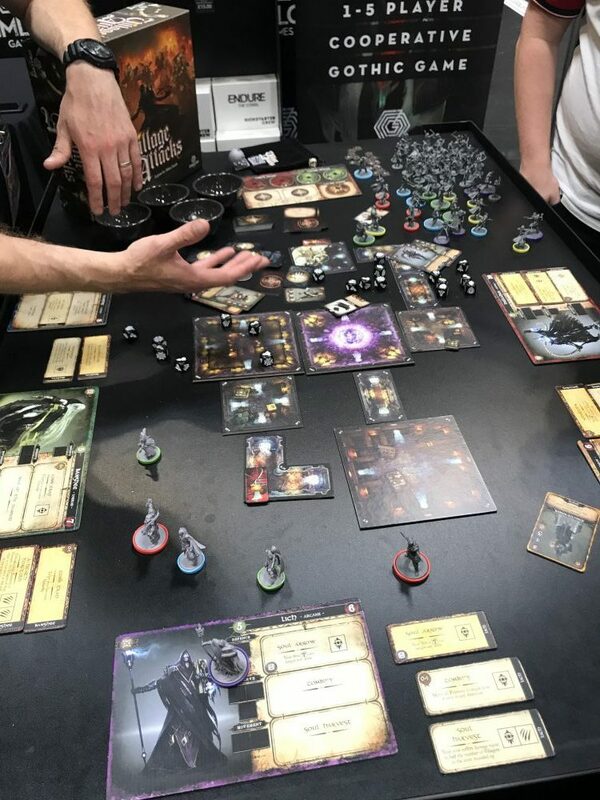 For those wanting that something special, there was also some amazing gaming tables on offer. 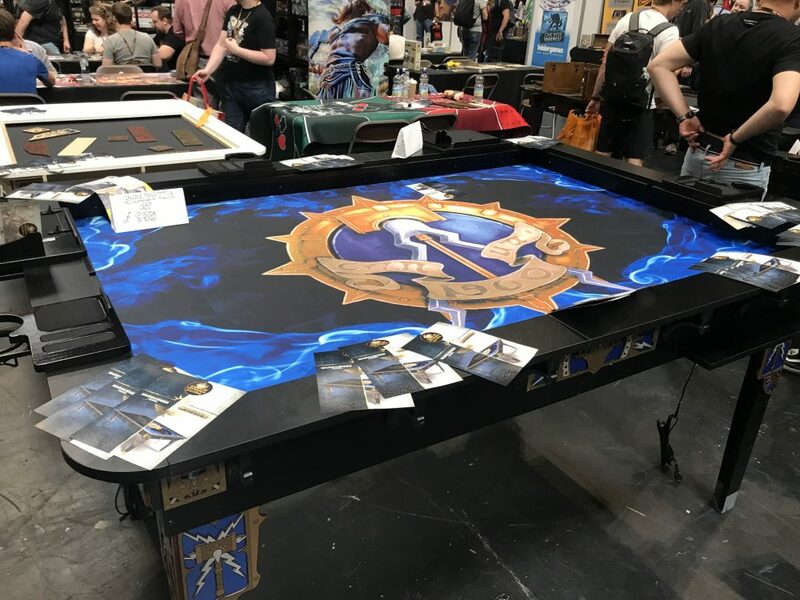 I have rarely called a table beautiful before, but the carpentry and attention to detail with Geek n Son’s tables were exquisite. 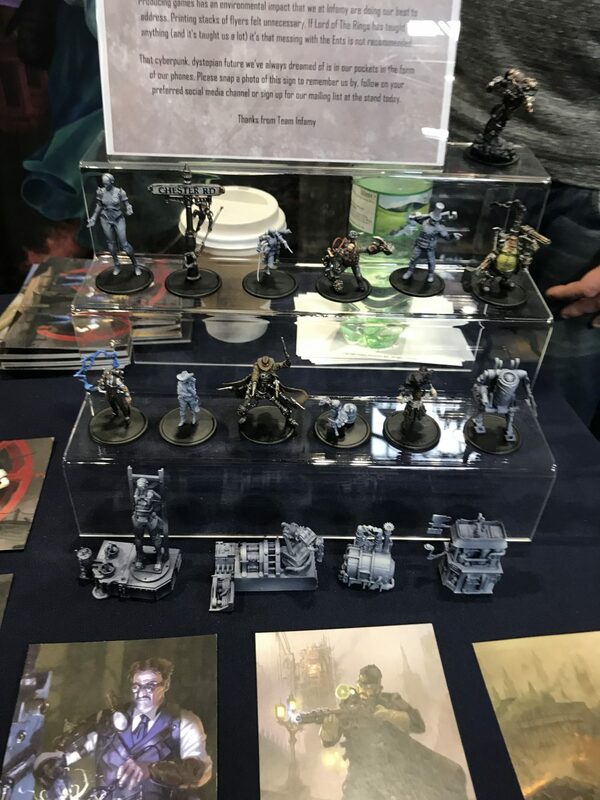 So all in all a great show and something we at Geek Pride are glad is increasing in size and popularity on a yearly basis. 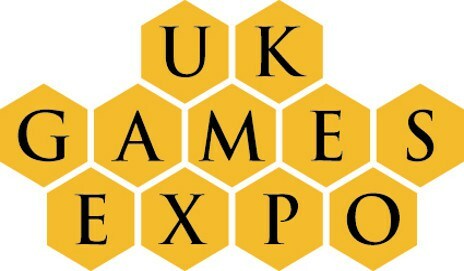 Check out the UKGE website for more information about the show and to keep up to date with what is happening next year; we’ll be there!